"I was in a terrible accident with an uninsured driver, when my auto insurance finally settled with me it became a bit of a struggle with the state. My lawyer Sandy Fazili was always quick to respond to calls and emails. Himself as well Ross Celino were very sympathetic to my plight and went above and beyond to make sure I received the most compensation possible. Although the series of events that put me in their law offices was awful, I couldn't be happier with quality of service I received and the overall outcome. I am so greatful I made the decision to seek representation from the law offices of Celino and Barns and found so a wonderful and knowledgeable lawyer in Sandy Fazili" -Jake D.
I have been representing injured people for the last ten years. I do so by choice, and by conviction, because I have seen the hurdles that are placed before people who are injured as a result of the negligence of others. Lost wages, lost job opportunities, unpaid bills, medical expenses and a general loss of family life are only some of the obstacles injured persons face as they try to get their lives together. Insurance companies and their associates create every imaginable obstruction to prevent the injured person from getting their due compensation and moving forward with what is left with the rest of their lives. I have worked for the insurance companies and know how their concern is more bottom-line than family and rehabilitation for the injured person. Their interest is not in justice, but in evading responsibility and delaying the inevitable. It is the little guy’s inability to fight for himself against these large corporations that pushes me to succeed in my daily fight for my clients’ rights and necessities. Cellino & Barnes focuses only on Personal Injury Law. As a part of that team, I am honored to be surrounded by some of the finest Attorneys and support staff in Western New York and beyond. Our success is known across New York State, and our results are proof of our hard work and dedication in fighting for our clients. My goal is to make sure you get everything you are entitled to as you return to good health. I keep in regular contact with my clients. I know what they are going through, medically, financially and otherwise. It is my goal to ensure that your needs are met by all concerned parties. We will fight to ensure that you receive the best representation and results. It is our sole purpose to ensure that justice is done. We intend to see that justice is done. BA – University of Rochester. JD – University of Buffalo School of Law. 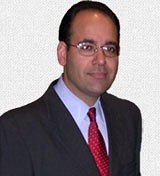 Licensed to practice law in all New York State courts, and the Northern and Western District Courts of New York. I reside in Rochester, NY with my wife and 2 children. In my free time I enjoy reading, playing and watching sports and spending time with my family. [Attorney Fazili represents clients injured in auto accidents, slip and fall accidents, construction accidents and more].